So, since I haven't been sewing, really, but apartment hunting and guarantor hunting and stressing about it in general, I thought I'd tell you about a book related to sewing I got myself lately. I'm really trying to cut down on actual physical books that I have, and this is not exactly the smallest, but this is something you can't get for kindle. I've been wanting to get this book, since I first read about it in Tilly's blog (you can also find more pictures there, I'm lazy...). Now I decided I needed to get it. 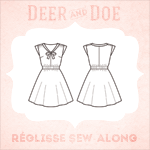 I'm having trouble of understanding all the different fabrics, especially in English (and in French!). And when you're ordering online, you don't really have a chance to feel how the fabric is. And it's not exactly something I'm great in Finnish either. So, I thought this book was just what I needed. And it's amazing! It doesn't go in very deep on the fabrics, just gives you the main idea of what and how the fabrics are made, but it provides swatches! So, they introduce the main fabric types and the swatches are not dyed, so they're mainly white/grey so that you won't be distracted of the color of the fabric. This really gave me some understanding of the different common fabric types around. And leaves out a lot of guesswork. Also, the book is about 70 pages, so it's not a huge read. 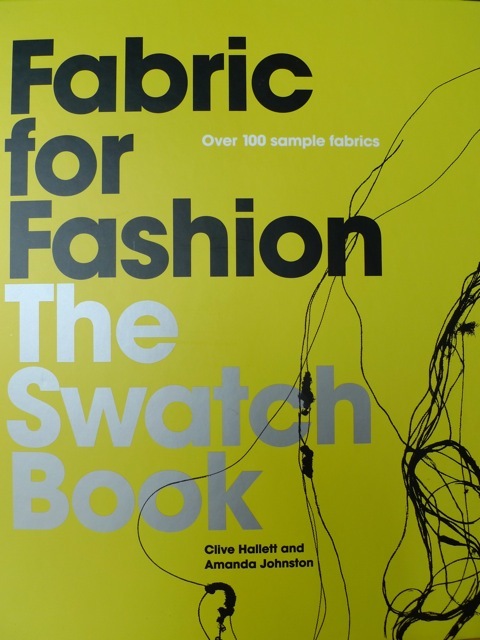 The book is more introductory, but I think a huge book with a lot of information wouldn't work with swatches. 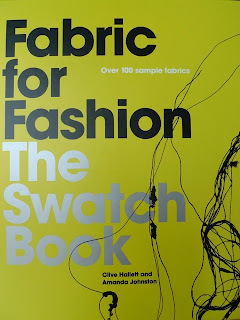 It already is quite thick and the nature of the information is such that I need to go back to this book over and over again before I've actually learned to recognize the fabrics without the book. But I can recommend this to anyone with the same problem: it really makes a difference to feel the fabrics.